China is encouraging more private sector involvement in the transport sector. Photo by Thomas Stellmach. Our monthly China Transportation Briefing shares interesting news and noteworthy research related to China’s transportation and urban development. The goal is to help people who are interested in solving China’s urbanization and transportation problems understand relevant Chinese policies and trends. Each issue revolves around a particular theme, with content summarized from recent newsletters and magazines. If you have any questions, feel free to contact Research Assistant Heshuang Zeng at hzeng [at] wri [dot] org. China’s Ministry of Transport (MOT) recently made an announcement that it will encourage more private investment in the transportation sector. Given the funding gap in transportation projects in China, this regulation appears to be a wise move, but more aggressive actions are required. According to the 12th 5-Year Transportation Plan, in the next five years, China will build 34,000 kilometers of new expressways and 500,000 kilometers of new roads, improve subways and city railway systems, and build about 100 new transportation hubs. Realizing this plan requires huge investments. It is estimated that there will be more than 30 cities with metro projects underway in the next 15 years, and the necessary investment required would surpass 600 billion yuan (US$95 billion). The MOT’s recent announcement encourages the participation of private investments in highways, ports and waterway construction, maintenance, operation and management, as well as projects like integrated transport hubs, logistics parks and transportation stations. Private capital is also encouraged to fund the research and promotion of new transport technologies, processes, materials and the development of transportation logistics public information platforms, public transportation information service systems, highway eletronic toll collection system, and urban traffic intelligent systems. Various forms of financial participation, including wholly-owned holding companies, equity participation and shareholding are recommended. The annoucement also requires local transit authorities to provide service, guidelines and regulations to facilitate private capital investments. The introduction of private capital will surely reduce the financial burden on the government. At the same time, the entrepreneurial spirit might also accelerate transportation technology innovation and application, especially in new fields, and increase the total efficiency of the system. If well-guided, the private sector might even create new transport funding models through integrated development between transport and surrounding land, like land-value capturing seen in private railway projects in Japan. The private sector has been involved in funding toll roads in China through the transfer of operation rights. Although there has been doubts on toll road transparency, this type of public-private partnership does provide an important funding stream for toll expressway projects in China. The announcement will give the private sector more space in funding public transport in China. However, under the “harmonious society” political ideal, the construction and operation of public transport will continue to be heavily subsidized by the government. The 12th 5-year Transportation Plan states clearly that the government should support public transport. 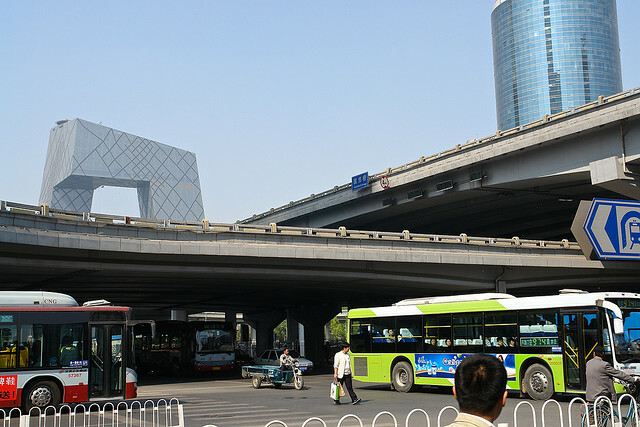 This philosophy was also reflected in the joint statement by the Ministry of Construction (MOC), National Development and Reform Commission (NDRC) and Ministry of Finance (MOF), which said that the government should establish a sound mechanism for public subsidies, considering urban mass transit as an economic and social benefit. Increasing financial liability over time has posed a great challenge on already in-debt local Chinese governments. How can local Chinese cities get out of debt to fund transport projects sustainably? The World Bank just released a report on sustainable low-carbon cities in China. It calls for a fundamental rethinking on urban finance. To address this challenge, the World Bank report suggests that the central government strengthen its role, and it urges local governments to take comprehensive actions and introduce more stable local revenue taxes, such as property taxes and land-value incremental taxes. To implement the 12th 5-Year Transportation Plan and implement sustainable transport projects, filling the finance gap is a pressing issue that requires a series of reforms. China will have to take action sooner or later.